In this class you will learn to elevate the simple salad to a feast for the eyes as well as the tastebuds. We will also be preparing 3 different homemade salad dressings that are a cinch to make and will keep you from ever buying salad dressing again! These are salads anyone will enjoy, even salad-haters! Soup is the ultimate fool-proof meal for the healthy cook. It is the most forgiving of all foods and can be modified endlessly for personal tastes. It is also communal food at its best! Are you ready for an exciting date? Nothing is sexier than creating together in the kitchen: tasting, feeding each other and then devouring the 4 -course menu we create. Our menu is filled with aphrodisiac foods that will relax you, increase blood flow, change your brain chemistry and amp up the excitement! 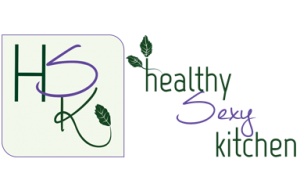 Prepare to cook healthy and have fun!